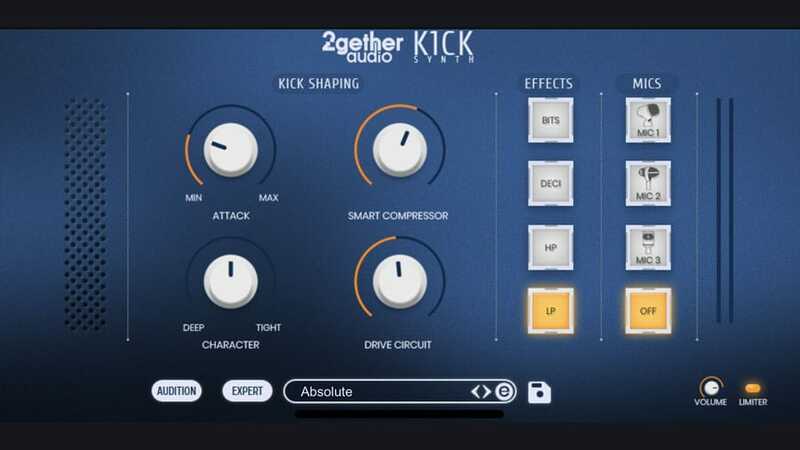 2getheraudio has released K1CK Synth, a virtual instrument with a new hybrid synth engine designed specifically for creating and delivering a huge range of electronic kick drum sounds. Two interfaces, Simple and Expert, give producers a highly optimized set of sound design controls for fast auditioning, simple tweaking or fine tune control of kick drum sounds. K1CK Synth is available to purchase under 2getheraudio’s Pay-What-You-Want (minimum $10) pricing model off their website. K1CK Synth supports 64-bit VST, AU, AAX capable DAWs. It is Mac and Windows compatible. K1CK Synth is released under 2getheraudio’s Pay-What-You-Want (minimum $10) business model so nearly all musicians, regardless of their ability to pay, have access to this software. A free trial is also available.